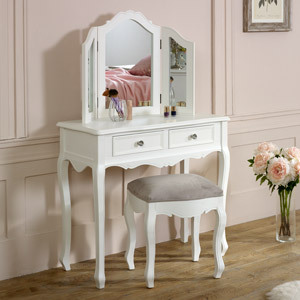 Every woman deserves a dressing table. 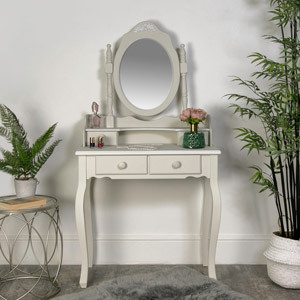 It’s a sacred space meant just for her, where she can ready in the mornings without hassle and store all of her favourite makeup and perfumes in one convenient place. 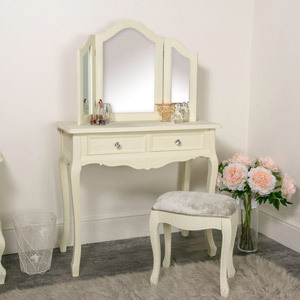 Here at Melody Maison we want every woman to have a beautiful dressing table set of her own. 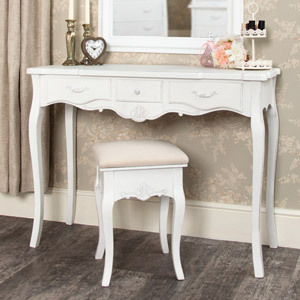 We stock a wide range of vintage, antique, shabby chic, rococo and ornate French style dressing table sets that will add a touch of luxury to any interior. 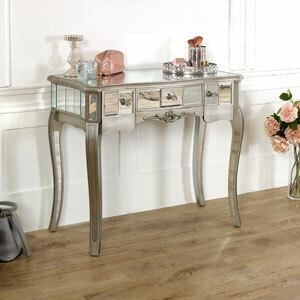 Do you love classic vintage style and glam details? 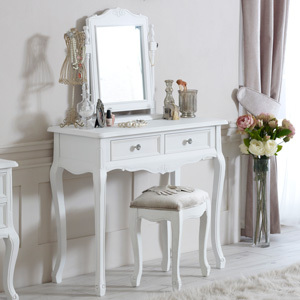 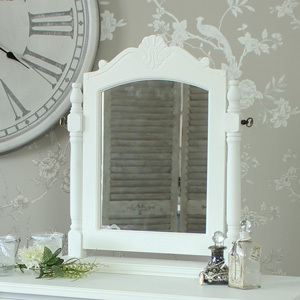 Our Elise White Range dressing table set with crystal style handles is perfect for you. 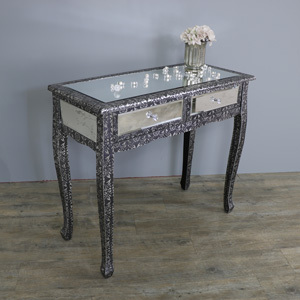 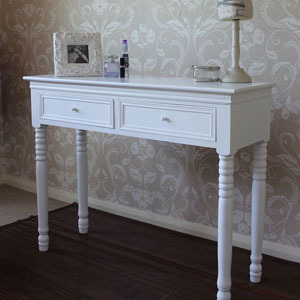 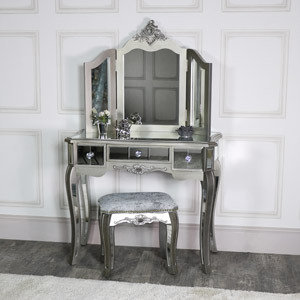 Perhaps you are aiming for a more luxurious interior vibe and need a dressing table to match? 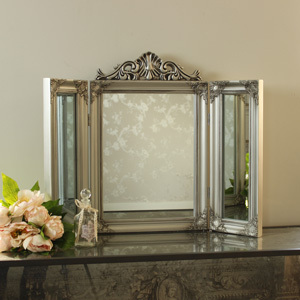 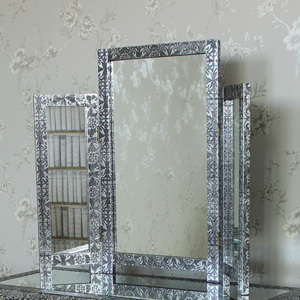 Our stunning antique silver, mirrored Tiffany Range is so glamorous and chic. 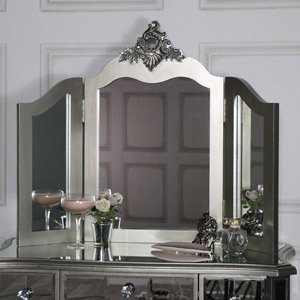 Or maybe you want something simple, yet stylish, that can fit into a variety of décor styles? 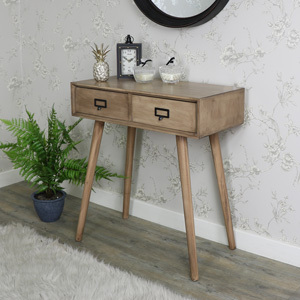 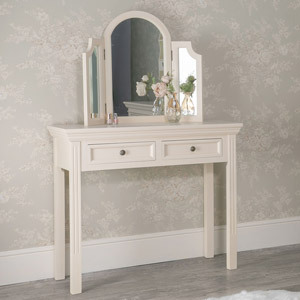 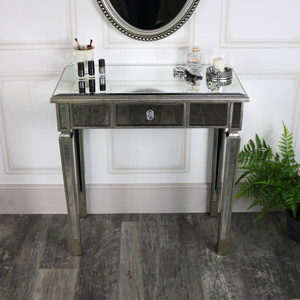 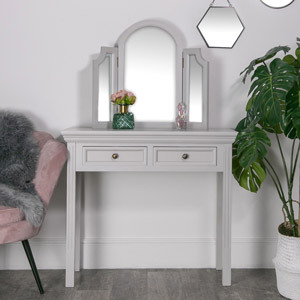 The Daventry Grey Range dressing table set is the perfect fit. 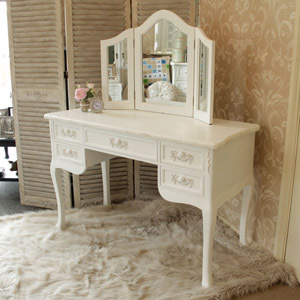 We have a dressing table set for everyone. 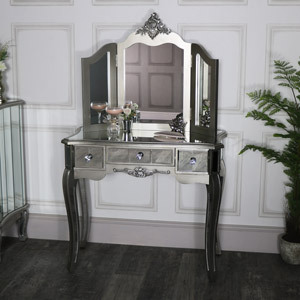 Grey, white, cream, ivory, brown, mirrored, gold and silver dressing table sets in a variety of styles, complete with gorgeous carved detailing and an array of finishes. 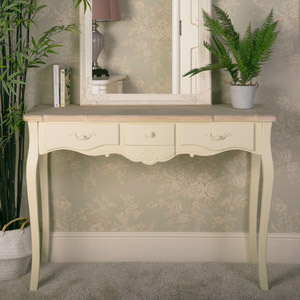 Our dressing table sets come in a selection of sizes and storage capabilities. 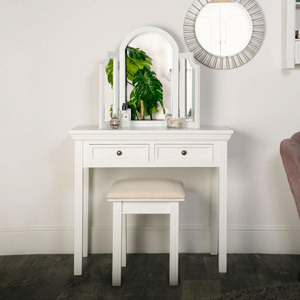 For instance, our shabby chic style Lila Range dressing table set has a small, slim, lightweight design and can fit into a multitude of tight spaces. 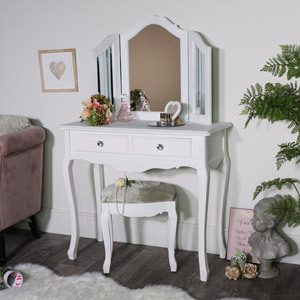 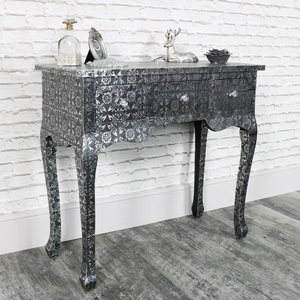 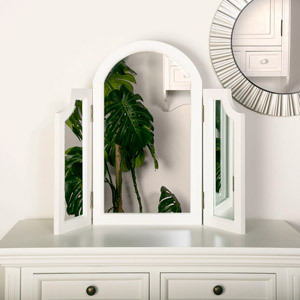 While our stunning, rococo, ornate French inspired Pays Blanc Range dressing table set is on the larger side and therefore cannot be moved as easily, it also boasts 5 drawers to store your important hair and make-up accessories. 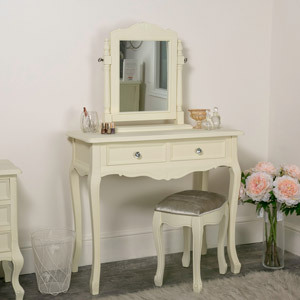 Create your own shabby chic heaven or slice of rococo French paradise with one of our stunning dressing table sets. 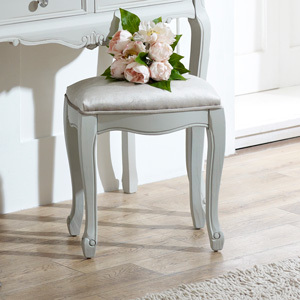 All Melody Maison furniture is crafted from high quality materials and finished beautifully with care.